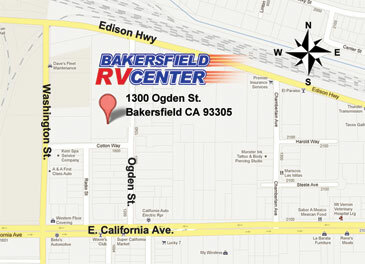 Bakersfield RV Center, Inc. is the foremost Motorhome, Travel Trailer, and RV repair service and RV collision repair center in Bakersfield and the surrou nding Kern County areas. The owners of Bakersfield RV Center, Inc. have been providing RV repair and RV paint and collision repair services to many RV service centers, all major insurance companies and thousands of Motorhome, Travel Trailer and RV owners. Please take the time to look at our photo gallery of previous repairs. We have more than 30 years of RV Repair and RV Paint and collision service. Rest assured your Motorhome, Travel Trailer, or RV is in excellent hands and will be repaired to your expectations. Our trained and professional RV collision experts and RV Technicians are capable of performing virtually any repair on your Motorhome or Travel Trailer. Whether it's routine RV repair or service, major RV collision repair, RV roof repairs and/or replacement, or just about any aftermarket addition available in the industry. If we have failed to mention something specific you are looking for, please do not hesitate to contact us. Chances are we will be of service to you. Bakersfield RV Center, Inc. is committed to providing you with superior RV repair and RV collision services at one of the most reasonable rates in town. 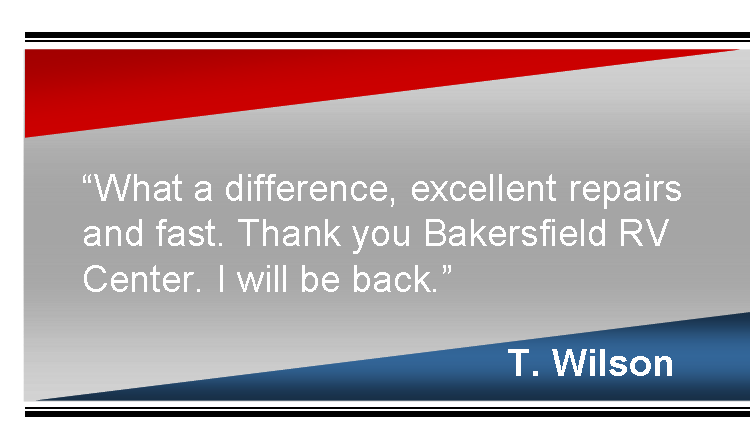 Our goal is to get you back in your RV just as quickly as humanly possible meeting all of your expectations. We take pride in our reputation of exceptional customer service before, during, and after the repair is completed. Thank you for taking your valuable time to learn more about us.